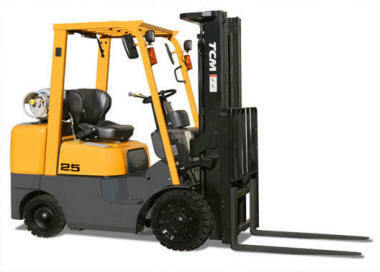 Look in the direction of travel and do not move forklift until certain that all persons or obstacles are clear. Observe all around the vehicle for obstacles and hazards before mounting. Never operate a lift truck with wet hands or shoes. 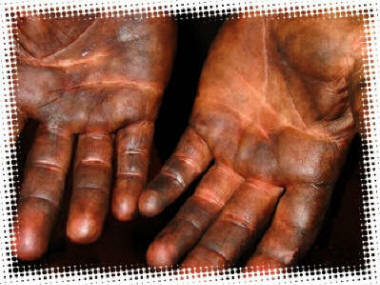 Never touch any controls with grease on your hands, gloves or shoes. Use hand and footholds properly to get on or off vehicle, (three-point stance). Take extra care where adverse weather becomes an issue. 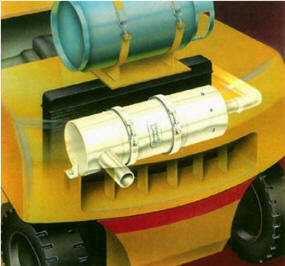 Snow, Ice, Rain and Wind are all serious safety hazards using machines outdoors. 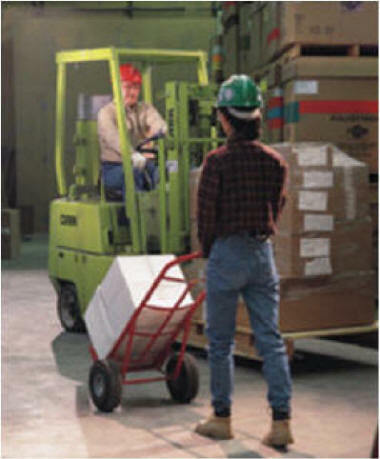 Avoid driving a forklift up to anyone who is standing in front of a bench or any other fixed object. Travel in reverse when the load is blocking frontal vision. Reduce speed when vision is restricted by doors, corners and when entering a trailer. Keep to the right unless conditions or layout dictate otherwise. Watch the swing of the rear of the forklift as well as the forks and the load. Always watch for people around you while driving forklift. Pedestrian traffic and other personnel in the area may not anticipate your actions and step or move into harm's way. Ensure lift equipment is safe while unattended. 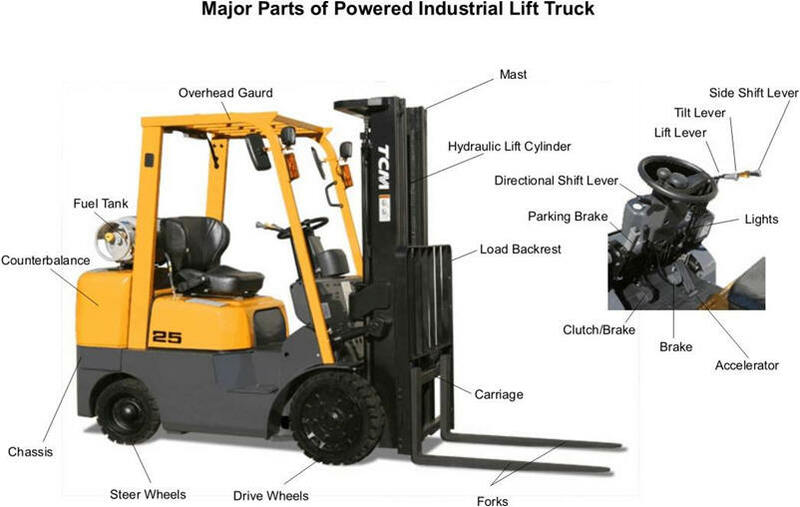 Fork truck properly parked with mast lowered and forks flat on the ground. Every time you leave the forklift unattended, secure it. Park in an approved location. Lower the forks to the floor. 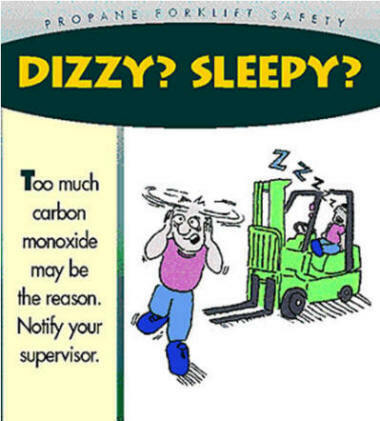 Do not leave forklifts running inside trailer for periods of time without ventilation. Take Carbon Monoxide Poisoning Seriously.